Small Business Policy Index 2018: New Hampshire ranked 30th among the 50 states. SBE Council’s “Small Business Policy Index 2018” ranks the 50 states according to 55 different policy measures, including a wide array of tax, regulatory and government spending and performance measurements. When it comes to its public policy climate for entrepreneurship, small business and investment – the engines of economic growth – New Hampshire has some work to do. Over the last couple of years, the state has taken steps in the right direction. Consider that on the Small Business Policy Index 2018: Ranking the States on Policy Measures and Costs Impacting Small Business and Entrepreneurship, which I write for the Small Business & Entrepreneurship Council, New Hampshire ranked 30th among the 50 states. That’s not competitive. One thing that New Hampshire can say that’s positive, however, is that it ranked best among all of the New England states, with Vermont coming in at 45, Connecticut at 43, Maine at 41, Rhode Island at 40, and Massachusetts at 38. Of course, though, competition for entrepreneurs, businesses, investment, and jobs is not limited to New England. New Hampshire is competing against all of the other 49 states and the world. 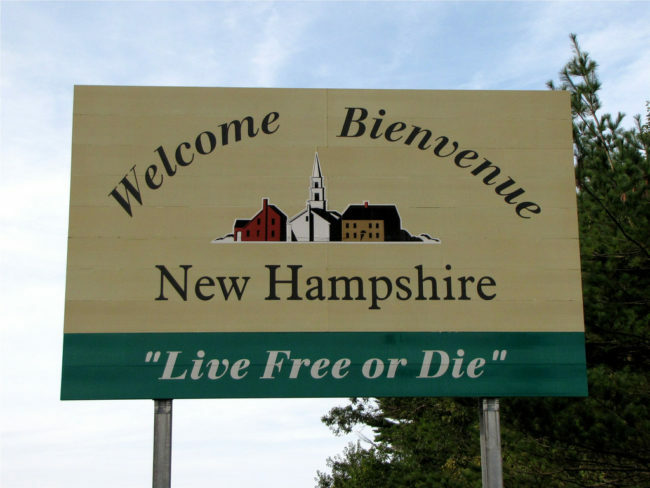 Among the key positives for New Hampshire are no personal income, individual capital gains and death taxes. And make no mistake, those are big plusses for the state. In addition, the state imposes low consumption-based taxes and has a very low crime rate. Unfortunately, New Hampshire inflicts the second highest property tax burden and high business taxes. The recent positive steps have been directed at starting to redress the business tax issue. First, the state’s business income tax rate was reduced from 8.2 percent to 7.9 percent in 2018, and at the start of 2019, it was further cut to 7.7 percent. That’s still far too high, but this shift is most welcome. Also, New Hampshire imposes an odd, burdensome levy known as the business enterprise tax (BET). The New Hampshire Department of Revenue sums up the tax up as “assessed on the enterprise value tax base, which is the sum of all compensation paid or accrued, interest paid or accrued, and dividends paid by the business enterprise, after special adjustments and apportionment.” The BET rate was reduced from 0.72 percent to 0.675 percent in 2018, and to 0.6 percent in 2019. New Hampshire starts with a solid foundation of no personal income, individual capital gains and death taxes, and positive steps on business levies are beneficial to the state’s climate for entrepreneurship, investment and growth. At the same time, New Hampshire needs to take bigger strides to make it a true haven for living, working, and starting up, running and investing in a business, among New England’s otherwise unfriendly states.